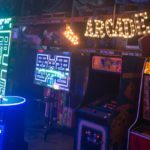 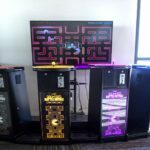 All the fun of traditional Pac-Man but for up to 4 players! 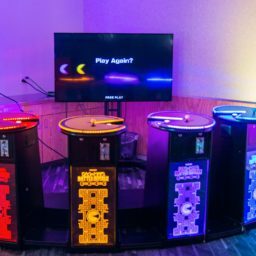 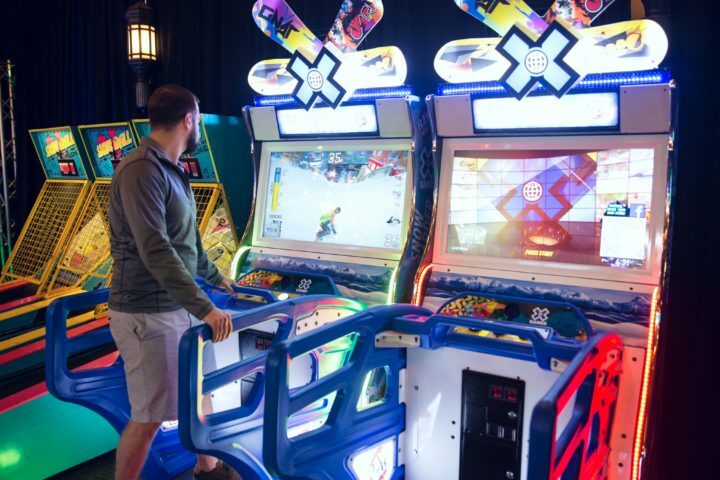 Each player uses their own color Pac-Man pedestal and play together on a 60″ screen. 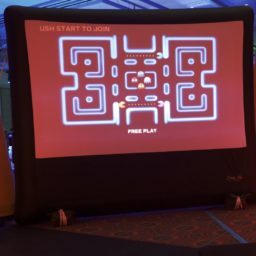 Game play is just like the original except when you power up your Pac-Man, you can eat ghosts and your competitors. 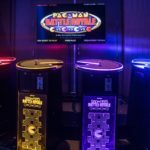 Be the last Pac-Man standing! 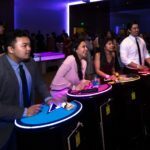 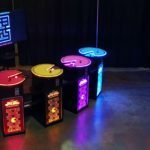 Four player Pacman can be a fantastic addition to corporate events, media outreach programs, and convention booths. 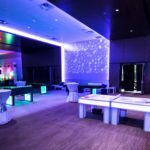 With bright colors and it’s competitive nature, you are likely to stand out grab the attention of guests or public. 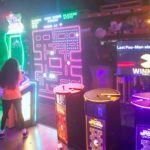 Integrate this game into a tournament or content to further leverage your attention-grabbing capabilities!